Let’s face it, closets can be downright messy. It just feels good to open your closet and know right where everything is. 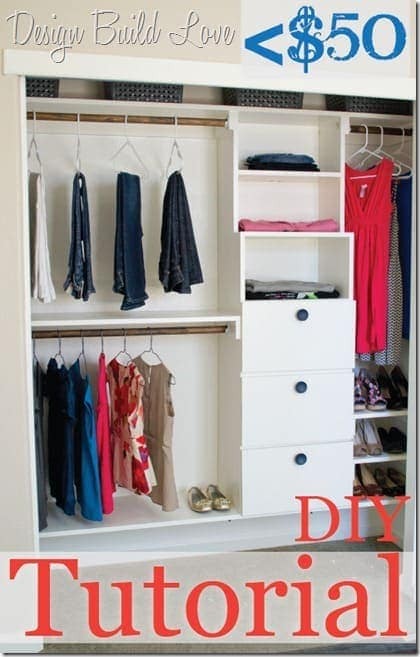 Find some great DIY closet organizing ideas below. 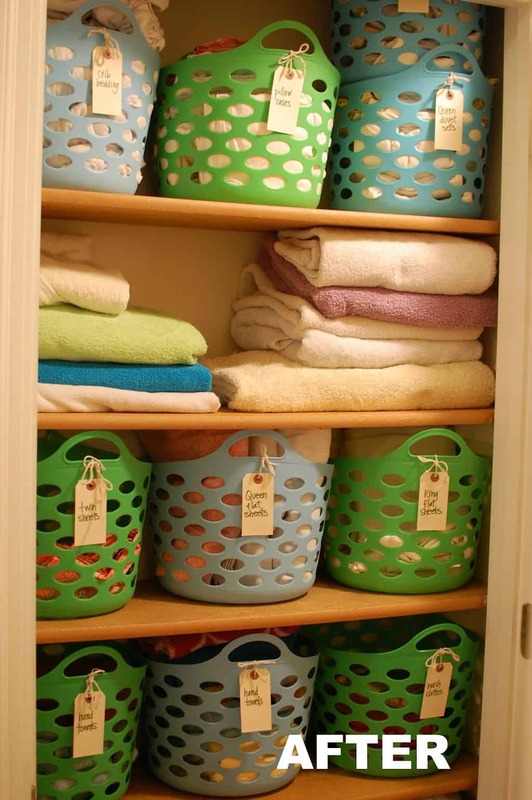 How to Nest For Less got tired of having their shoes in laundry baskets in their closet. 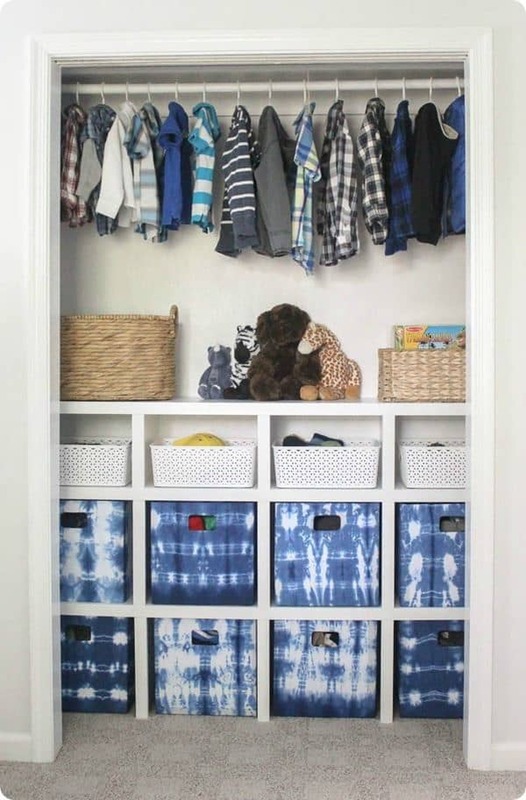 They were inspired to add some shelving and stylish baskets to give the closet a makeover. It turned out so clean and organized. See how they did it. Jen at IHeart Organizing had several concerns with her armoire closet and decided it was time to update. She revamped how she had it and now it is organized and beautiful. Check here to be inspired by her ideas. Angela at Hometalk shares how she believes that part of being organized is also keeping it pretty. So she was inspired to give her hangers a makeover. The look awesome! Update your closet. Make My Life Lovely was worried about rushed mornings before school. 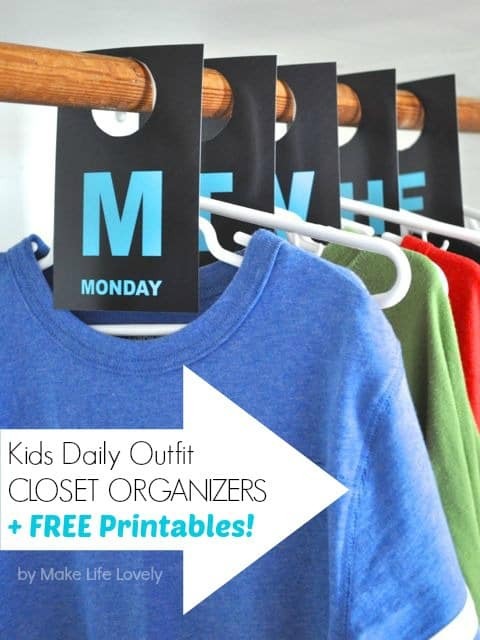 She decided it would be a great idea to make some day of the week closet organizers. This will make the mornings much smoother. Try it yourself. Cupcakes and Cashmere had several pairs of sunglasses that kept getting misplaced. 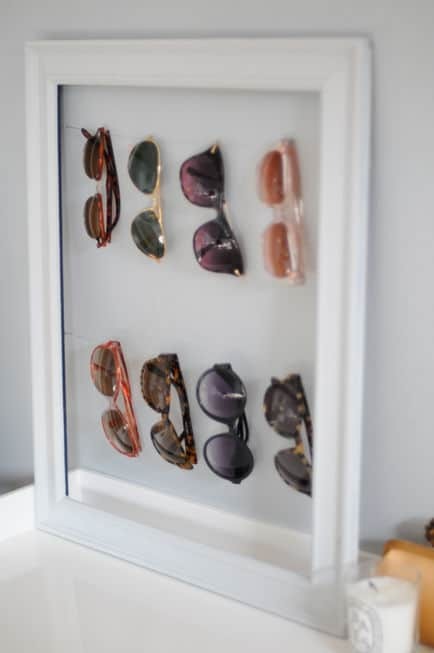 She figured it was a better idea to make a sunglass organizer. She how she did it here. Tom Builds Stuff shares his plans that he developed for a smaller closet space. Having an organizer like this can save you lots of valuable space. Give it a try. 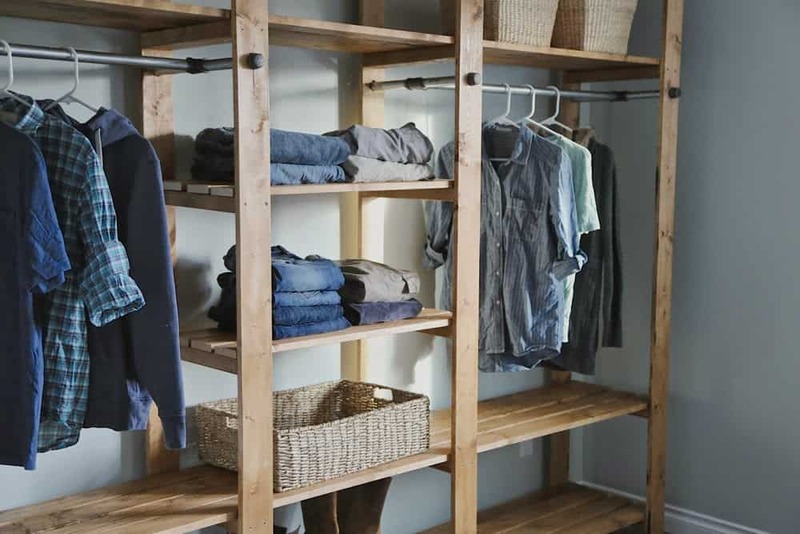 Over at Design Build Love, they realize that every closet is different sizes and there is no one size fits all when it comes to organization. 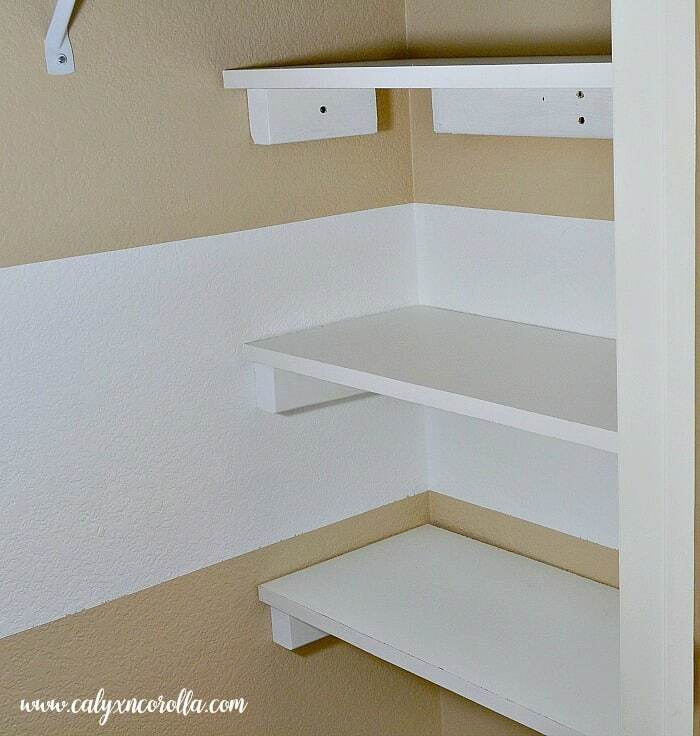 They share their closet shelving plans that can be customized to fit your space. See their plans here. Ana White gives some fantastic instructions on how to build your own industrial-style closet. 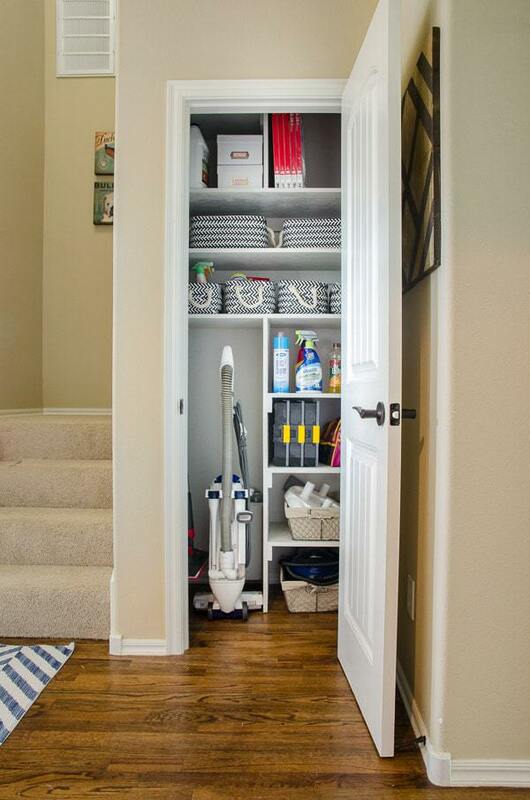 If you have a home that didn’t come with bedroom closets, this would be perfect. It looks cool and is completely organized and functional. How she did it. 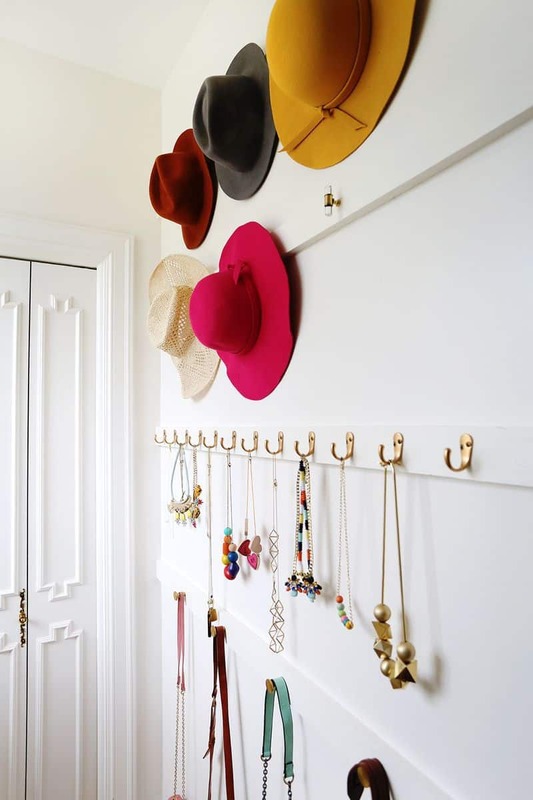 Imperfectly Polished has some great advice on how to make the most out of your closet space with custom closet shelving. This is a fantastic DIY beginner project. 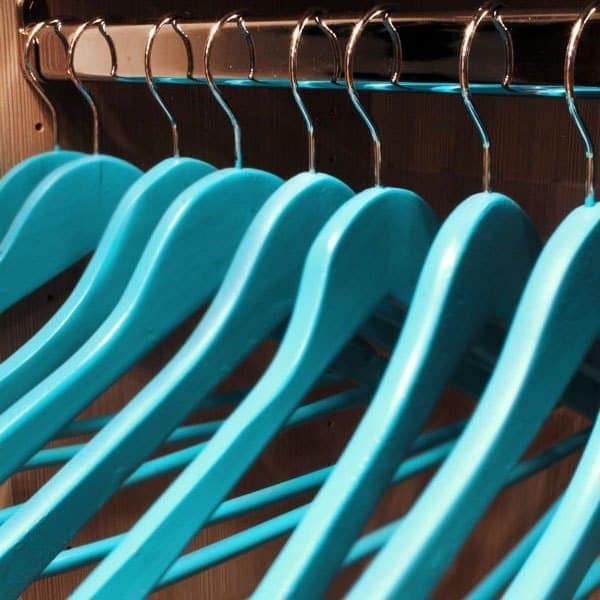 Start transforming your closet now. 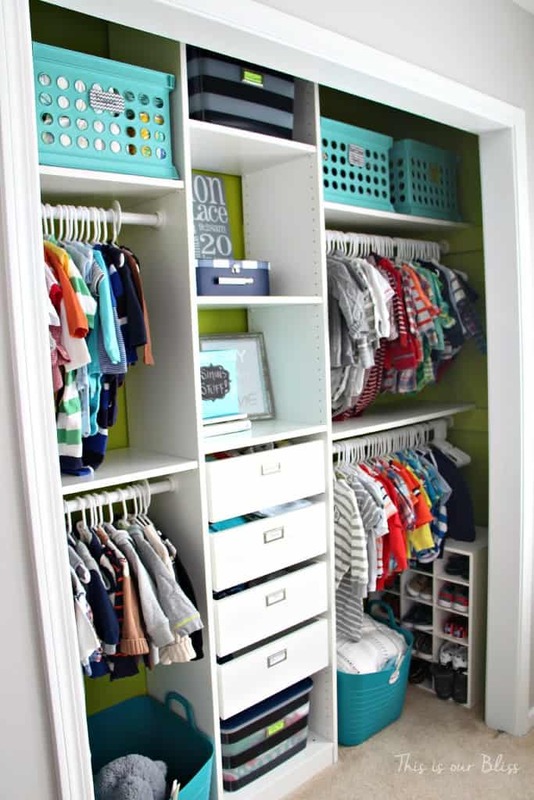 Rachel at This Is Our Bliss wanted to update the closet for the nursery. The old closet was boring and didn’t have any shelving. Check out how she transformed it. 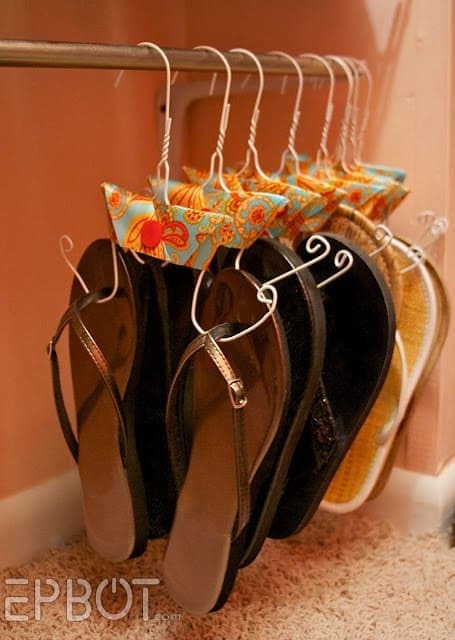 Over at Epbot they give some great tips on how to make your closet more user-friendly and organized when you have a bunch of flip-flops. They turned a cramped closet into an organized shoe haven. See for yourself. A Bird and a Bean shows us how to update the look of a messy linen closet with some simple baskets, labels, and strings. This is such a great idea and is wonderful if you are on a budget. Get your linen closet organized. 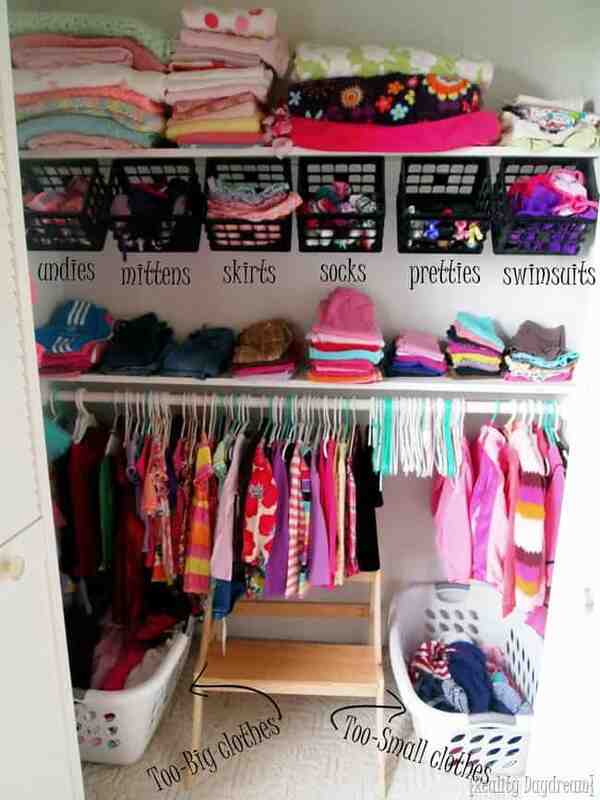 Bethany at Reality Daydream shares how they made some simple changes to create a fantastic organized kids closet. Her tips are easy to follow and make the space look great. See her easy tutorial here. Kelly at View Along the Way had many scarves and belts and needed a way to organize them. She made some closet sliders in just 5 easy steps. They turned out awesome! Give it a try. Instructables was running out of space for ties in their small apartment closet. 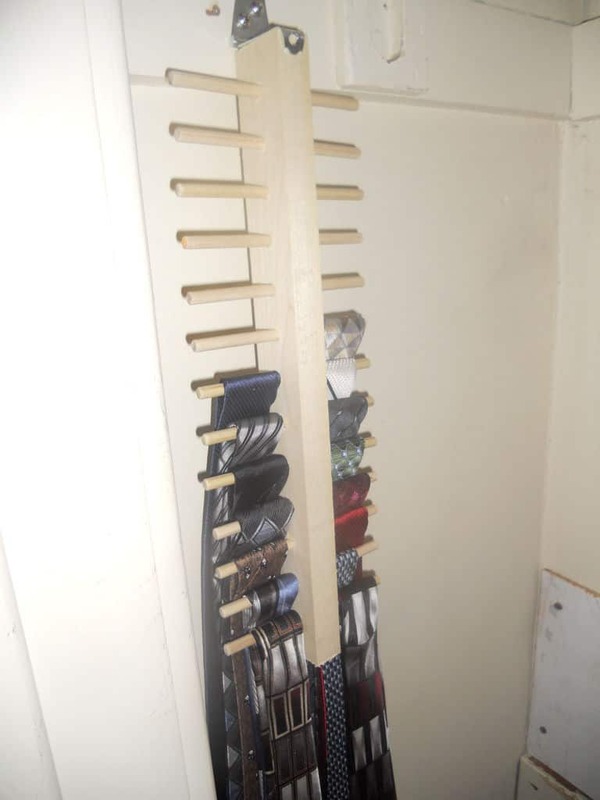 He tried the store bought tie rack, but it just didn’t fit his needs so he made his own. This inexpensive and homemade tie rack was just wanted he needed. See how he did it. Confessions of a Serial Do-it-Yourselfer wanted to update her master bedroom closet. Her old closet was plain and wasn’t easy to organize. She decided to give it a facelift and it looks fabulous. Update your closet. Melissa at Polished Habitat had a coat closet that became a catch-all for coats and cleaning supplies. She decided she wanted a space dedicated to cleaning supplies. It’s so functional and turned out great! 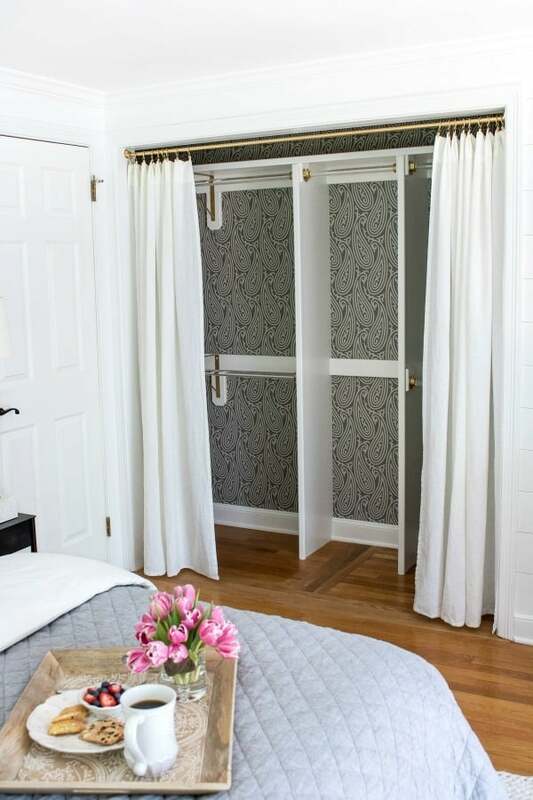 Kris at Driven by Decor was tired of her bulky and awkward bi-fold closet doors. 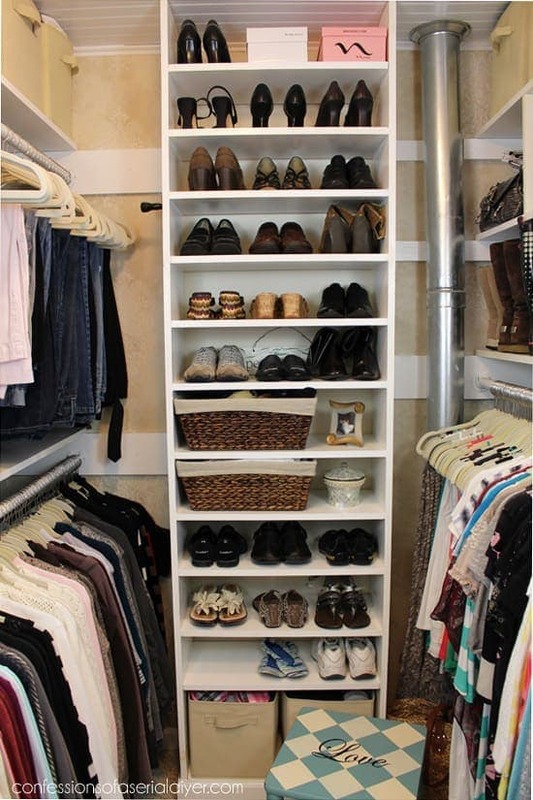 She updated the entire closet by making some easy changes. 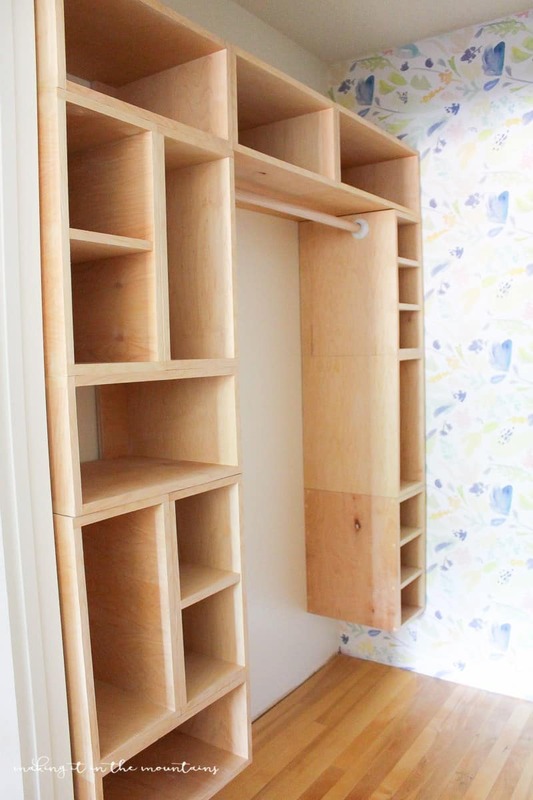 The end results are a beautiful closet with lots of space. See what it looks like. 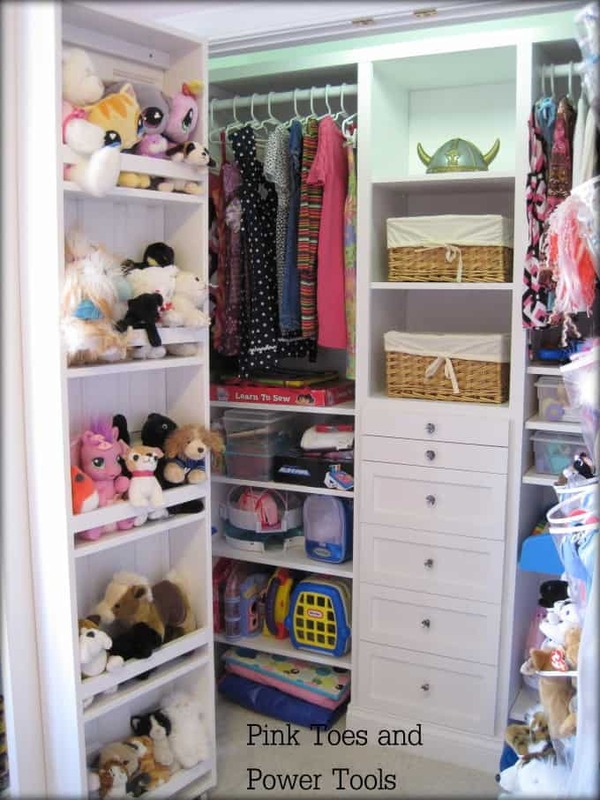 Calyx and Corolla had a closet with no shelving and it was so hard to keep neat and organized. After updating it with DIY shelving they have an organized space. Make your own shelves. 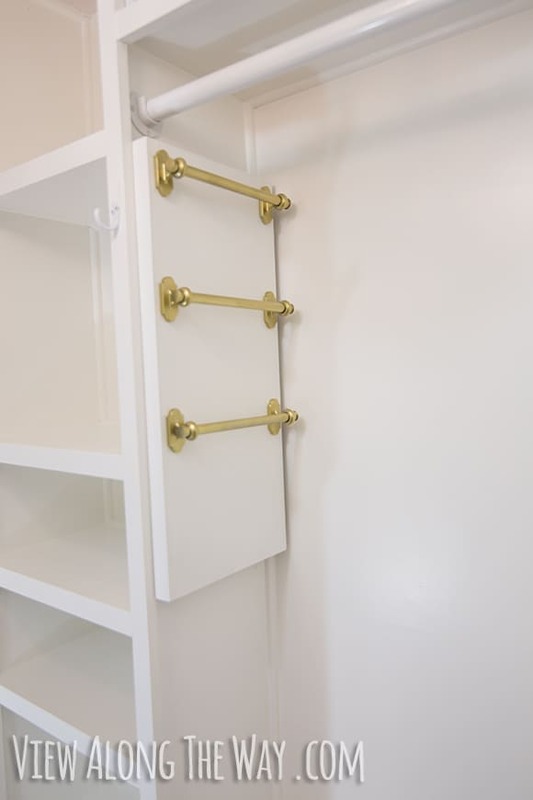 DIY Diva built developed a plan and built an industrial closet that is so gorgeous. The pipes paired with the wooden shelves make it a modern and fabulous space. 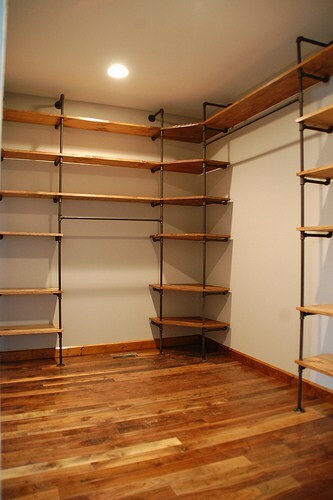 Build an industrial style closet. Making it in the Mountains gives an awesome tutorial on how to upgrade your closet with boxed shelving. Wow! This turned out gorgeous and it can be customized to most closets. Fall in love with this design here. 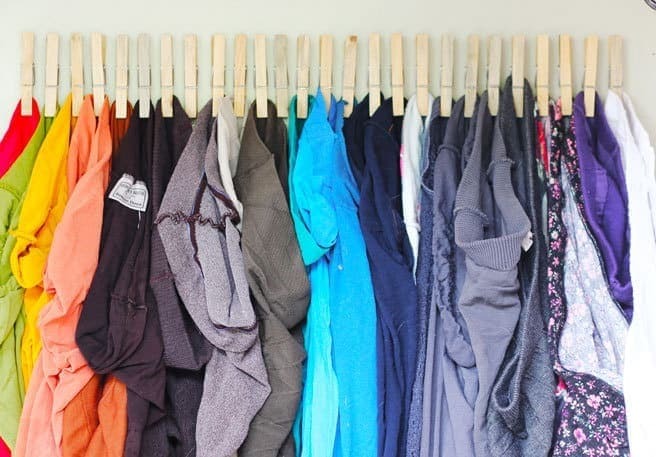 Over at Pink Toes and Power Tools developed a 6 part tutorial that teaches you how to make your own closet organizer. The shelving has a sleek look and I love how they utilized all the space wisely. See how she did it. Shanty 2 Chic has been on a mission to get everything thing organized in their home. 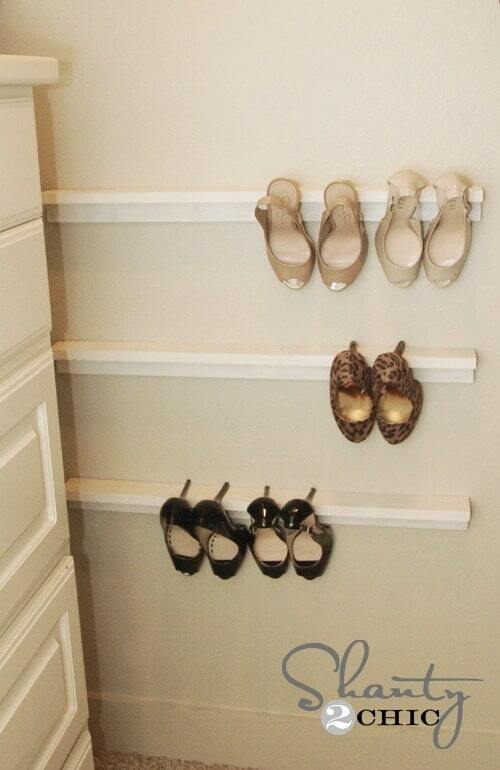 They developed a plan to make a DIY high heel organizer. It is super functional and looks great. Complete tutorial here. Carrie at Lovely Etc. needed some more usable closet space for her 2 kids that were going to be sharing a room. The best part about these shelves is they are easy to build and inexpensive. See the step-by-step guide. Cookie Loves Milk’s husband got to work and made a really cool shoe rack. It took him a bit of effort, but it paid off when it was finished. 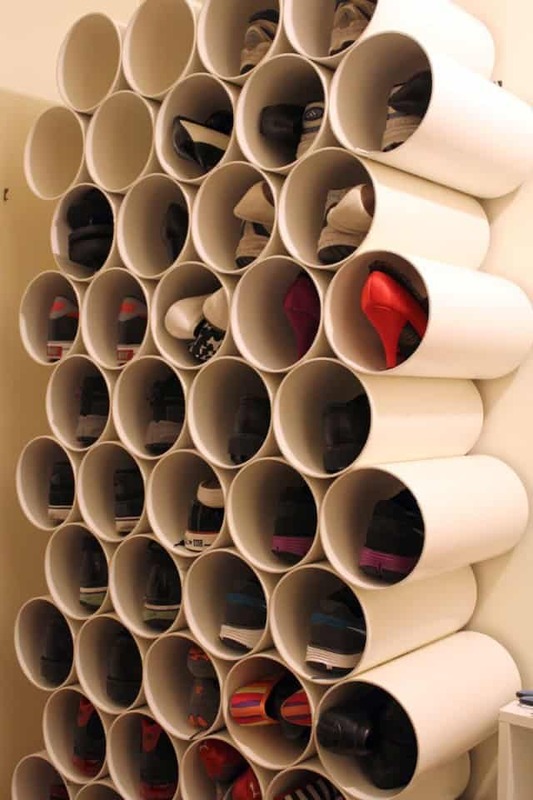 Now the shoes are totally organized and look great. Check it out. 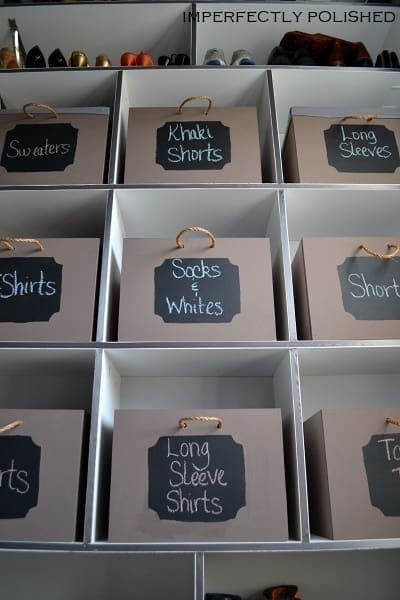 Lana Red Studio had a bunch of tights and needed an organization system that worked for them. So they transformed a few supplies into an awesome tight organizer that works perfectly for their needs. See how they did it. A Beautiful Mess hand made an organizer for their jewelry and hats. They didn’t have enough room directly in the closet so they brought it into the bedroom. The finished product looks like art! Do it yourself. I hope you were inspired to do some closet organizing on your own. 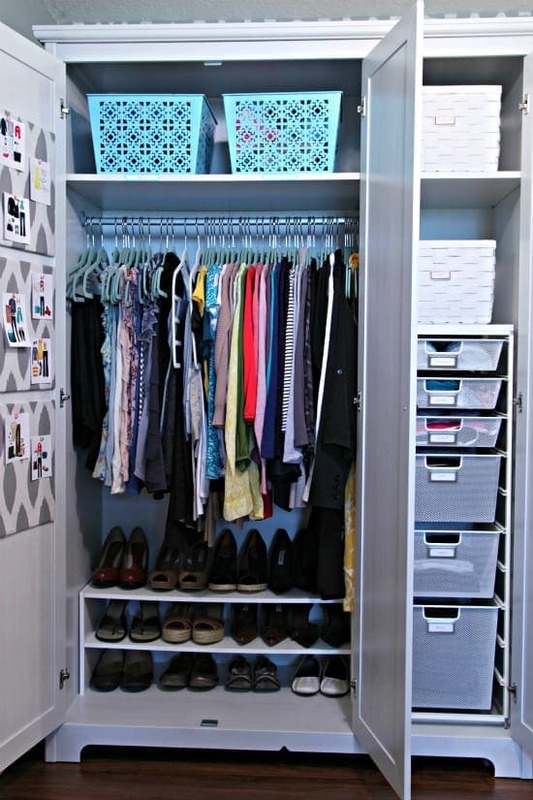 Keeping your closet organized can be an uphill battle when you don’t have a system in place. Try it for yourself!